There is no better place to get your loved ones holiday gifts than Boston! 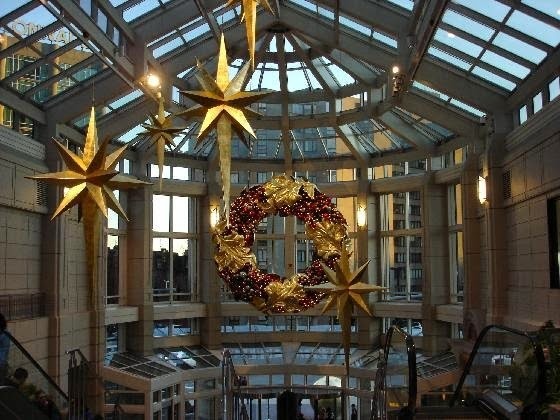 With so many different shopping districts it is difficult to know where to begin, but we have compiled a list of the best three spots to go holiday shopping in Boston. First on our list is the Prudential Center and Copley Square Mall. With two malls connected by a beautiful glass skywalk, you won’t be able to find more shops in one area. Located downtown in Back Bay, these two malls have just about any store you can imagine. Known to locals as “The Pru”, it holds many big name retailers such as Saks Fifth Avenue, Lord & Taylor, Vineyard Vines, and Barnes and Noble. If you are looking to splurge, Copley Square has many upscale stores that may hold the perfect gift. These include brands such as Tiffany’s, Louis Vuitton, Barneys, and many more. Aside from the malls being decorated for the holiday season, there are also pictures with Santa everyday, and complimentary personal shopping services in Copley Square. With such holiday spirit and countless stores, you will surely find what you are looking for here! 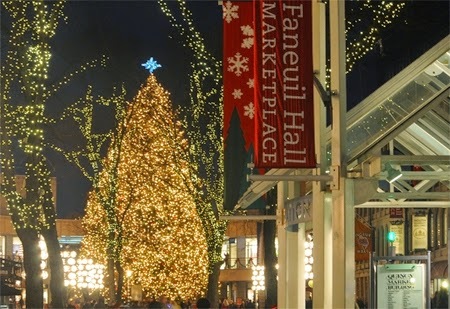 Faneuil Hall is next on our list, and it is by far the location with the most personality. With shops from boutiques to big commercial stores, there is a little bit of everything at Faneuil Hall! This is the jackpot for Boston branded gifts, as well as sweet treats to top off any gift. The entire marketplace is decorated with holiday lights thanks to the Blink! Light and Sound Extravaganza. If you want a little entertainment to break up your shopping, there are also talented street performers everywhere in the open air market. 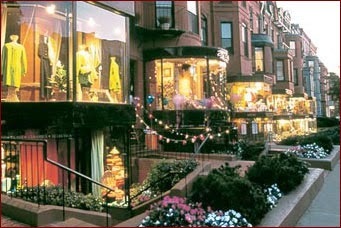 Last but certainly not least, is the infamous Newbury Street. Newbury Street has always been the place to shop in the city, and lives up to its reputation by holding some of the most popular upscale stores. Just a few of these names are Valentino, Chanel, Vera Wang, Burberry, and Armani. If you are looking to be a little more budget friendly, there are also stores such as H&M, Madewell, and National Jean Company. As well as popular chain brands, there are also countless small boutiques that carry beautiful pieces. Newbury Street is also holding an Elf Challenge during this holiday season. In various participating stores there will be holiday elves posted for participants to find. Once you find them and post them to social media platforms such as Instagram, Twitter and Facebook, you will be entered to win a prize! For more information check out the instructions on the Newbury Street website. Completely emerse yourself in Boston’s holiday culture beyond the fantastic shopping. Stay at the Clarendon Square Inn, and experience the holidays like you are one of the locals. Located in a beautiful neighborhood in the South End, you surely have an experience to remember!